Now that the much-needed rain has temporarily left the area, the summer heat is on -meaning the actual temperature, not just the humidity, is starting to rise. With the higher temps also come the potential for buying more energy. Especially, if you’re trying to keep your home cool. Carving more out of your budget for electric bills can be a challenge. But there are ways to save energy and money that may help you avoid sticker shock when you open your next bill. Set the thermostat between 78° F and 80° F when at home and raise it 3° when you’re away. It’s best not to turn off central A/C unless you’re going to be away from home for more than three days. Window units can be turned on and off as needed since they’re generally used to cool a smaller space. Typically, an A/C unit will perform at its best when kept at no less than 20° below the outside temperature. Request a programmable thermostat or a Cool Energy smart A/C kit for your window unit – look for Ways to Save. Or, buy a Nest Learning Thermostat and get a rebate from us. Check and, if needed, change the A/C filter as often as every two weeks. Install gaskets behind light switch plate covers on the inside of exterior walls to minimize air leakage. May through September are the hottest months of the year for San Antonio. So, it should come as no surprise that the summer heat helps create the highest energy bills of the year. But did you know that humidity also can play a role? We’ll have more on that tomorrow. 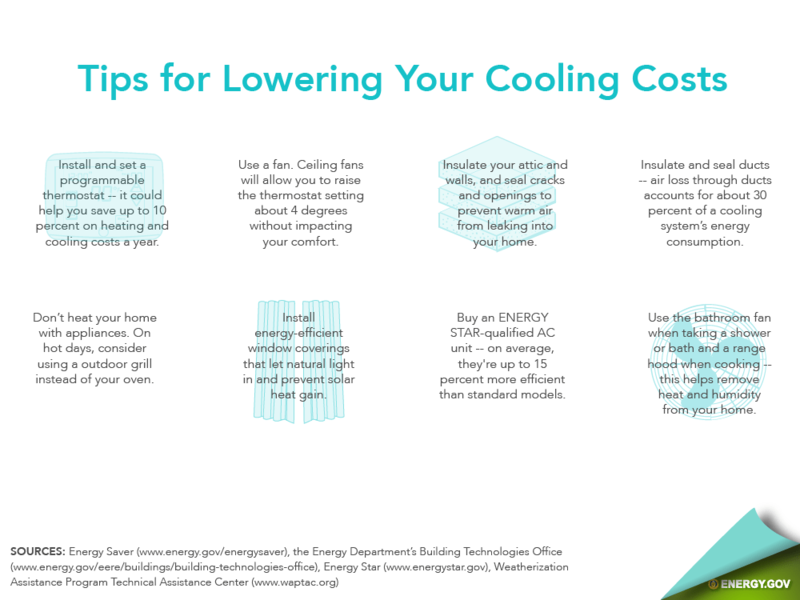 To learn about more energy saving tips or how you may qualify for free weatherization that would help insulate and seal your home, visit cpsenergy.com. I have read all the tips for saving energy. I have gone above and beyond these tips. I have 2 empty building on a gated secured property and all my appliances are unplugged and my air conditioner is turned off. No one uses these buildings as they are for sale. My CPS bill went from $33.00 a month to $180.00 per month for using one light that is turned on with an automated light for only 8 hours a day. Can someone explain this to me. The only answer I get from customer service is that when the summer months come up goes the bills. How is that possible when nothing electrical is being used except that one light. I would very much appreciate an answer to this. All my friends are having there removed also. Yolanda… we would very much like to review your account to discover which thermostat you had and what happened when you called. We definitely do not want to provide poor customer assistance and would like to get to the root of the issue you experienced. Please send your address or account number to feedback@cpsenergy.com and mention that you’re responding to a request from Corporate Communications. Ha! Nikki, I called to complain that there was no way that my bill was the same amount in July (we were out of state for 2 weeks, everything off) as it was in June, August, and September. I was also told that from June to September the bills just go up because of the heat. Funny how those were the very months I was complaining about. Another good one I was told in June when my bill went up by about $100.00 was, last year around this time your bill was about that amount. Last year around that time I was in a different home. They probably have a sheet in front of them with answers they should give to certain complaints. After studying how the thermostat worked (under CPS control really), I wouldn’t want that thing in my home. I am now trying to figure out if they automatically installed the so called SMART METER in my home when they built it. I’d really like to just pay for what i actually use and not what CPS estimates.